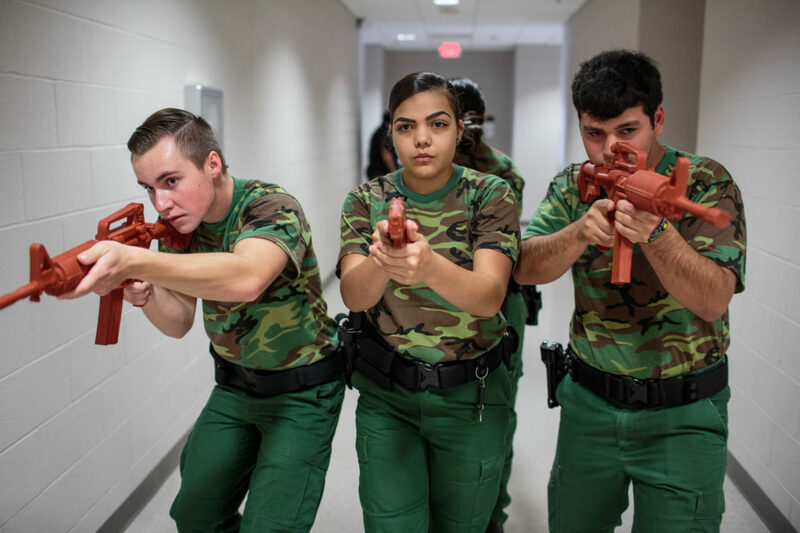 Ryan Dunlavy (L), Nerisa Garcia (C), and Jeremy Cabral (R), students from the Border Patrol Explorer Program, practice a room clearing drill at the United States Border Patrol Station in Kingsville Texas Station, 19 July 2017. The Explorer program is sponsored by Boy Scouts and Homeland Security, and nearly 700 students, ages 14-20, participate at their local Border Patrol post. It’s been nearly a year since I was selected as one of CatchLight’s inaugural photojournalism fellows. Since then, I’ve covered a range of topics, from America’s military and patriot camps for youth to an ancient Nordic religion that has galvanized white supremacists. This fellowship has taken me to extremely different regions and subcultures of the United States, ranging from my backyard (the Bronx, N.Y.), to a reservation in North Dakota on the Fourth of July, to border towns in Arizona and Texas. Along the way, my work appeared alongside stories by Reveal from The Center for Investigative Reporting, National Geographic, The New York Times and the California Sunday Magazine. My first solo exhibition, at Anastasia Photo gallery in Manhattan, opened in February. Start with what’s important to you. While it seems intimidating, applying to grants, fellowships and other funding allows you to focus on personal work and intimate subjects that are important to you as a visual artist. In order to create photographs that generate change, it’s necessary to engage in long-term research and commitment to a region and topic. Along with being a CatchLight fellow, applying for the Alexia Foundation grant – both as a student and as an emerging photographer – has allowed me to focus on these kinds of in-depth projects. Never stop working on personal projects and stories. It doesn’t matter how busy you are, or where you are in your journey as a photographer. In a competitive industry where it is easy to get lost in the hustle, it’s important to keep centered, and to stay focused on the topics that drove you to become a photographer in the first place. I am a firm believer in not waiting for the right timing or the perfect opportunity to arise. While working on my project, I often had to simply buy a ticket before any plans were confirmed – or get on a bus across the country to see what would happen. Persistence has to become second nature. I had many dead ends while working on my fellowship project – not only in terms of access, but also in terms of the narrative and visuals. I learned to “shoot through” feelings of getting stuck – to keep photographing until I made personal progress. When I was facing continual rejection with access, I learned to find other ways to photograph, whether in a more intimate setting or outside of the patriot camps and clubs. Photographers tend to have lone-wolf personalities. But as a young photographer, I’ve learned to stay connected to the journalism community and support that’s available. Being surrounded by people with different skills from my own – investigative reporters, editors and writers – was incredibly helpful; I had a community to keep me in check. A diverse mix of opinions also helped my project and strategies. Often, I can get lost in the middle of my work, and it takes outside opinions to bring back some perspective. I am continually learning the importance of looking for universal images and aspects of life that everyone can relate to. The last thing I want to do is create work that is untouchable, or creates fear and separation. I always try to see myself in the people standing in front of me; I look for things that are human and relatable. Sometimes these images are more nuanced – quieter off-moments, maybe even the more poetic images, rather than the bold, informational images that tend to make our first edits. Photography is all about self-reflection. It’s about the deep-rooted digging, and creating images that prompt questions. It’s also about where our work takes us in the end. You have to understand what motivates you as an individual, and you have to struggle with the stories and images you make. Editing is most of the job. With long-term work, editing is crucial. Personally, I have an editing board made out of fishing wire on my bedroom wall. After coming back to New York from photographing around the country last summer, I printed out hundreds of photographs and spread them across my wall and floor. I had to spend time with the images to make any progress. I had to learn that photography is only a small part of the process. Reading the images, sequencing and editing is a crucial process that we often overlook. Editing helps me recognize crucial elements of the story that I am missing. It helped me to see my own approach more clearly, and to start building the narrative from what I had in front of me. Ask editors to sit down with your work, talk through your storyline with writers, and try to meet in person those who have been in the industry longer than you have. While photojournalism is indeed a competitive industry, I have only encountered support and encouragement from the individuals around me. But it doesn’t come unless you reach out. I’ve learned from being a fellow this past year to ask for help, and to learn as much as possible from those around me. 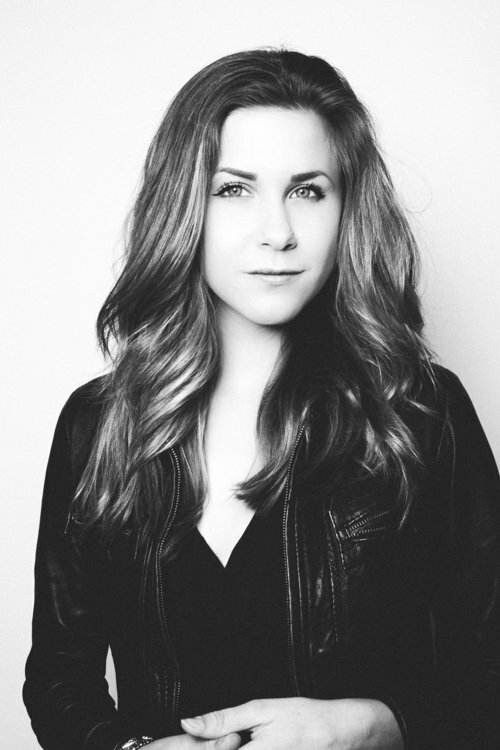 Follow Sarah Blesener on Instagram at @sarahblesener, on Twitter at @sarah_blesener and on her website at www.sarah-blesener.com.